Childish Gambino thinks he's the weird black kid who's different from everyone else. But he wants to indulge in rap clichés, too, from running through "b*tches" and driving Maybachs to clowning "backpackers." 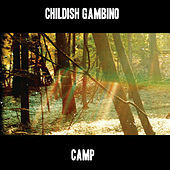 As he raps and occasionally sings in an impassioned voice reminiscent of Patrick Stump, and underscores his rhymes with string arrangements akin to Kanye West's albums, Childish Gambino doesn't bother to unravel Camp's contradictions. However, his best songs -- the intra-racial discord of "Hold You Down," the working-class kid in "Outside" -- help us understand what he's going through.